Designed to feel and function like skilled therapeutic hands under the body, the CranioCradle® gently relaxes tense muscles, relieves aches, pains and fatigue and provides deep relaxation. Multiple positions under the head, neck, body, and sacrum to decompress vertebrae, create mild traction, release trigger points, enable still points and melt away restrictions and stress throughout the body. Use to ease headaches, Migraines, chronic neck & shoulder pain, TMJ, whiplash & low back aches. It’s easy to use and works in minutes. The CranioCradle is a soft and easy to use self-treatment, myofascial release and craniosacral therapy tool that relieves stress, tension, and pain. In just 10 minutes you can restore your body to a deep state of comfort and relaxation. It can really help your whole body let go, while providing people with headaches, migraines, tension, neck and shoulder pain a simple and effective way to relieve their symptoms. The CranioCradle can also be used on your back to mobilize your spine and release trigger points and your sacrum (the bony plate at the base of your spone) to provide gentle traction for your low back. The instructions that come with your CranioCradle also show and describe where to place it. Please note that when under your sacrum, the flat base of the CranioCradle should be against your body. Each CranioCradle® comes boxed with a step-by-step full-color instructions guide. Includes photographs for 16 different positions for use. 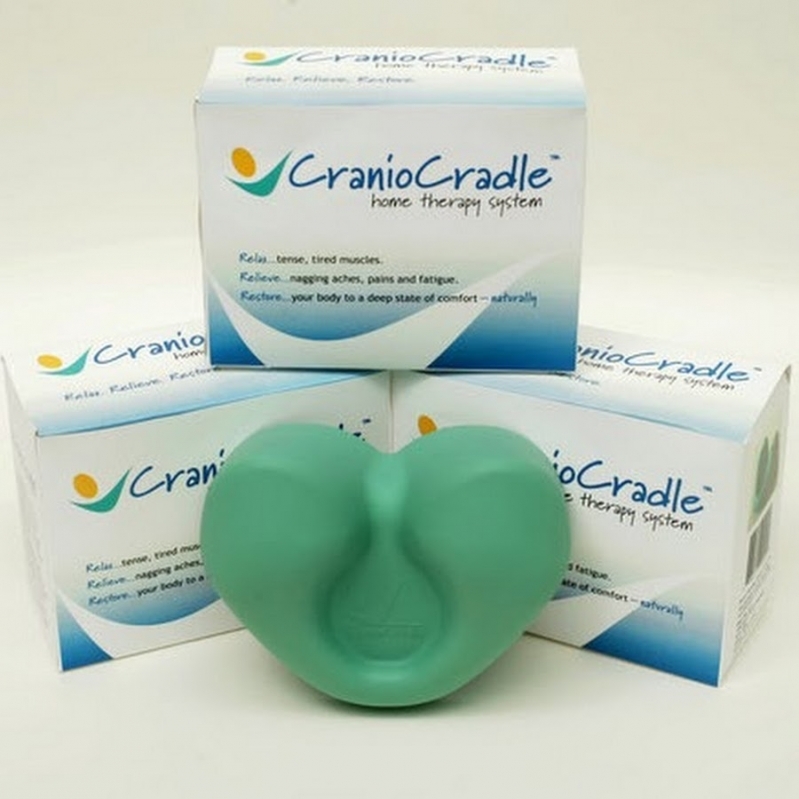 Each CranioCradle® is made with 100% recyclable foam. Watch the different uses for the CranioCradle.